Six prominent media leaders were brought from the Republic of Botswana, a small country in southern Africa, on Monday to discuss the nature of investigative journalism in their country, particularly discussing censorship, corruption and their thoughts on America. 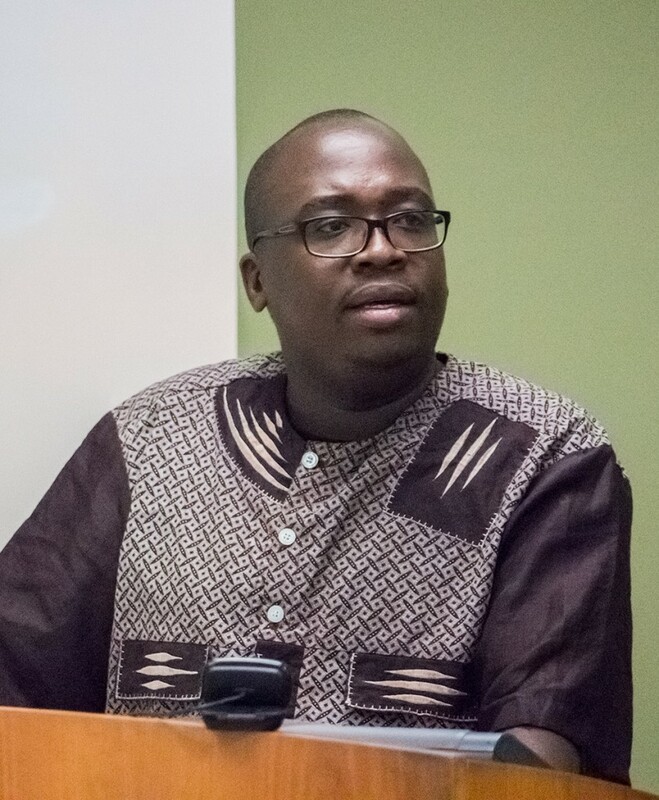 To set the stage, Mothusi Soloko, a senior reporter for the Botswana Press Agency, explained that the country has its own president, Parliament and constitution similar to the United Kingdom, as Botswana was under its rule until 1965. The country was founded on principles that are still lived by today but are often disrupted by the government. “Morero” stands for making group decisions and ensuring peace; “botho” calls for respect and treating all with kindness. According to Oteng Chilume, head of news for the popular radio station Corona FM, the media is sometimes criticized for lacking “botho,” which might be perceived as negative toward the elderly. The fight to incriminate the corrupt is then left to the private media, Moageledi Innocent Selathwa said, a reporter for the Botswana Gazette. Chilume further explained how the government does not allow private radio stations to use radio transmitters in order to control what is being streamed. Additionally, public officials have gotten away with crimes of corruption. Selathwa explained how Director General Colonel Isaac Kgosi, head of Intelligence, was charged with counts of corruption, yet never prosecuted. Soloko added that two ministers were also charged and released for a lack of admissible evidence. Despite all the struggles that Botswana has been facing, there have been improvements for women in education and politics. Schools are now enrolling more girls, and their scores are surpassing boys’ scores. Recently, the National Court of Appeals overturned a law that did not allow women to inherit property or belongings. Politically, five women hold seats in Parliament, and there is a movement to create more positions to include more females; a conflicting issue is voters wanting women in power.